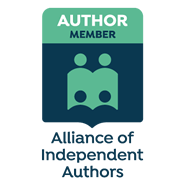 Today I'm delighted to welcome author A.F. 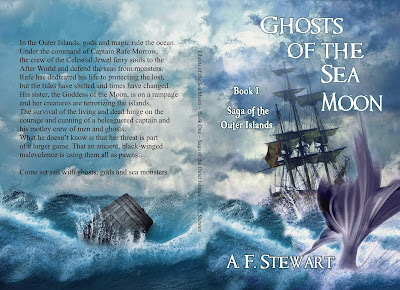 Stewart to my blog, celebrating her novel, Ghosts of the Sea Moon, book 1 in the saga of the outer islands. It's such an enticing, mythical title--kind of a surprise since the first books I read by A.F. Stewart were the much more starkly (and scarily) named Chronicles of the Undead, and Killer and Demons. 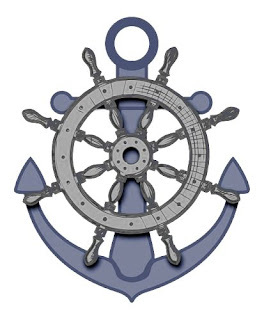 I have read lots of her amazing short stories and poems too, and I was intrigued to learn that Ghosts of the Sea Moon is based on one of those shorter pieces. A.F. Stewart knows how to say a lot in a few words, how to bend those words into lyrical wonder, how to evoke emotion, and... well, how to make myths and monsters real I guess. So read on for an excerpt to entice you to read. 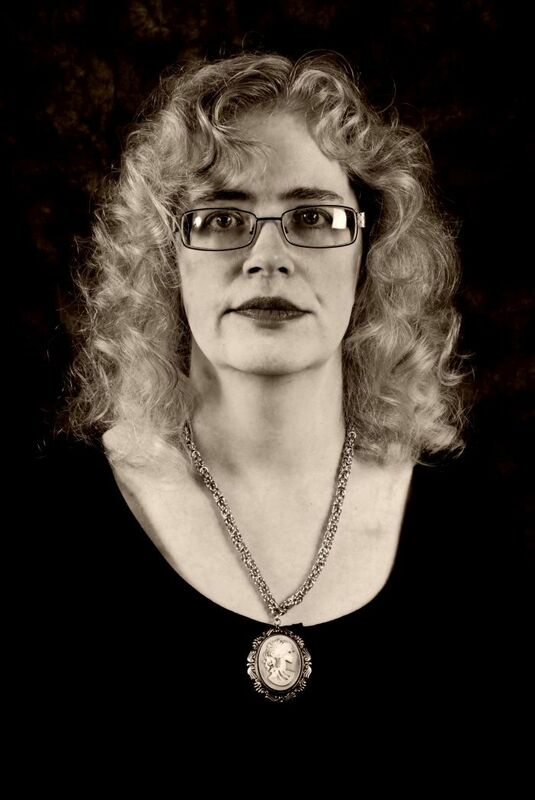 And thank you, Ms. Stewart, for visiting my blog. Now... over to you! I love myths. I love ghost stories. I love the idea of sea monsters. So when I decided to expand my original piece of short fiction and create my novel, Ghosts of the Sea Moon, I wanted to combine those loves into the plot. I wanted big and grand, and well, mythic. 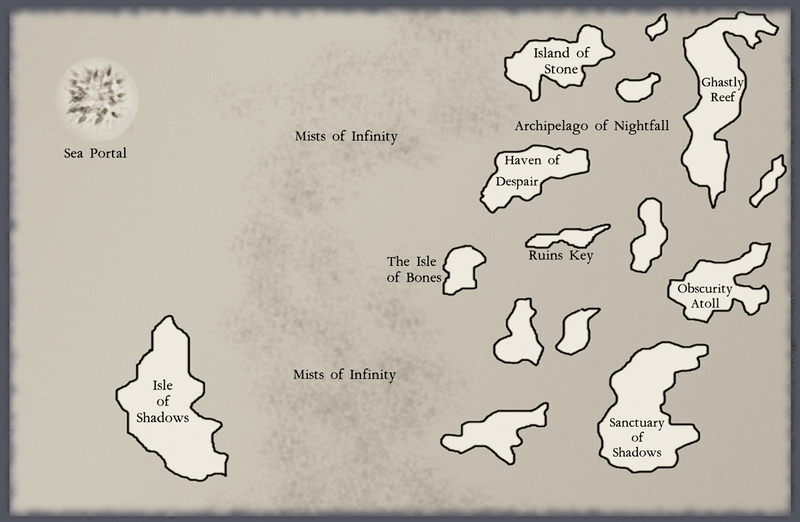 And, as the original story was loosely based on tales of ghost ships with a sprinkling of Greek myth, I thought had a good start. 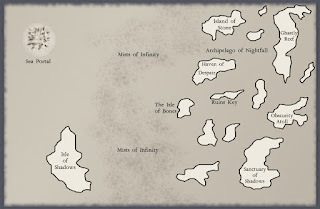 For me myth and epic fantasy are a excellent fit, both often utilizing the hero quest archetype and the classic protagonist battling monsters scenario. Ghost stories and sea monsters also play their part in fantasy and even more so in the other genre I write, horror. 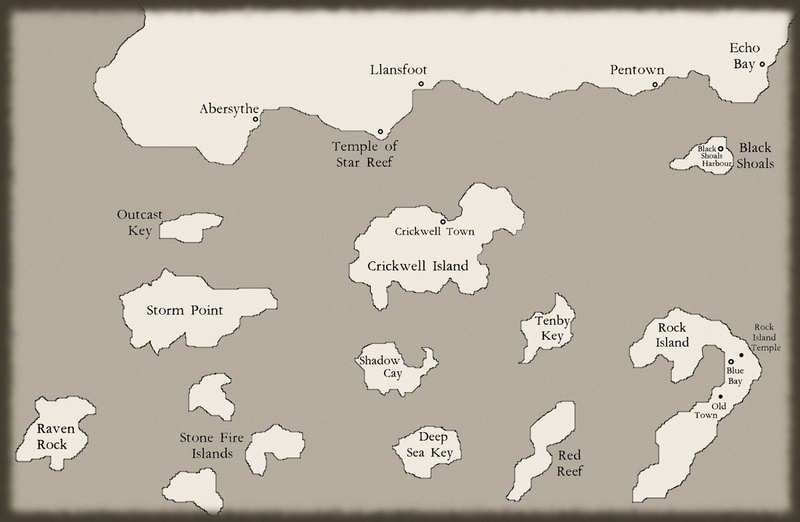 It seemed to be the perfect idea to write a mythic fantasy saga at sea with a bit of a dark side. It didn’t exactly turn out like that. First, my gods. I based my pantheon on the Greek Gods (one I even named Cylla in homage to the Greek myth of Scylla and Charybdis). I dreamed of powerful creatures doing epic battle across the sky. However… As it happens epic battles between gods can be quite destructive and I didn’t want to lay waste to my world (I ended up writing a series and I needed my world intact). That wasn’t the only problem. Most of my gods seemed disinclined to involve themselves in mortal affairs, only making brief appearances. And the two main deities? They behaved—gasp—more human than god, just an average pair of warring, dysfunctional siblings, albeit ones with magical powers. But that left the darker aspects, right? The sea monster and the ghosts? Not quite. 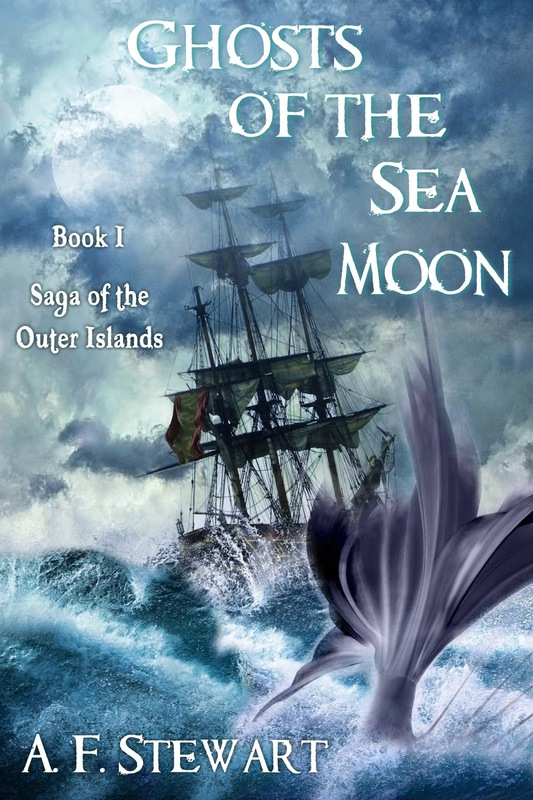 Because Ghosts of the Sea Moon isn’t all that dark (surprising considering my previous books). The ghosts decided they were regular average people, mostly shipwrecked sailors, stuck in the world of the living for unresolved emotional issues. That is if they weren’t eaten first by the sea monsters, creatures who did turn out as I first envisioned. Yes, my sea monsters are suitably ferocious and threatening (a Kraken even makes a fleeting appearance in the novel). But that still left me with a semi-mythic mishmash of squabbling gods, creatures and ghosts. And then the Nightmare Crow showed up. (This is also when the novel turned into a series. That crow was sneaky and wanted more story.) Somehow he turned the novel into a whole, pulled all the loose bits tight and made the plot come together. And when I finished, maybe I didn’t have what I intended, but I had a book. 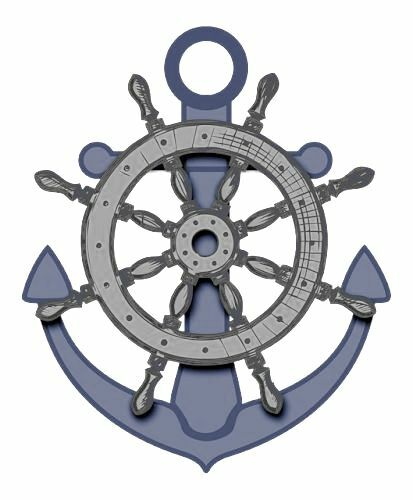 So instead of a dark epic quest, with a stalwart hero battling frightening monsters amid threatening gods, I wrote a sea-faring adventure fantasy. A conflict involving a roguish captain and his crew, against a mad Moon Goddess partnered with a sinister crow, and the fate of two worlds hanging in the balance. I guess the best-laid plans of myth and monsters just have a mind of their own. Ah, those best-laid plans. I'm so glad there's a series, and I'm eager to follow it. Love the post and especially the excerpt!